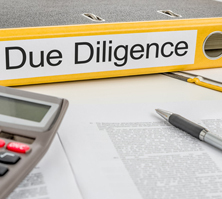 Doing effective due diligence prior to entering into a business relationship may be the most important business-related activity you will perform for your company. Many organizations either don’t conduct due diligence or when they do, they don’t always gather all the relevant information to guide their decision making. Johns Hopkins Medicine’s Due Diligence Assessment Guide is a useful tool to ensure that you obtain all of the information required from a prospective business partner prior to contract signing. For every prospective Johns Hopkins business venture, we perform due diligence to thoroughly investigate and then evaluate all relevant aspects of the people and firms with whom we propose to do business. Depending on the scope of the deal, proper due diligence can take days to months. But no matter how long it takes, we have found that we get the best information, and the best results, when we follow this comprehensive template developed by our finance unit. This Users’ Manual provides the details that will allow you to be both thorough and consistent, one opportunity to another. In many cases you may be disappointed that a promising opportunity is not going to work out. But, of course, that’s precisely what you want to know before you sign a contract. • a guideline for how to assess the due diligence information you gather. You also may be interested in the Johns Hopkins Medicine’s Comprehensive Business Plan Development Guide is a detailed handbook for developing concise, coherent and complete business plans for presentation and review by a hospitals’ senior leadership and executive boards. It guides planners in the development of consistent, complete and efficient business plans for each unique opportunity. Find out how you can obtain the Johns Hopkins Medicine’s Due Diligence Assessment Guide.